Funded by Erasmus+ Sport, this two-year project (Jan 2017 - Dec 2018) has developed a range of tools designed to help organisations to better understand the development process for female peer leaders. 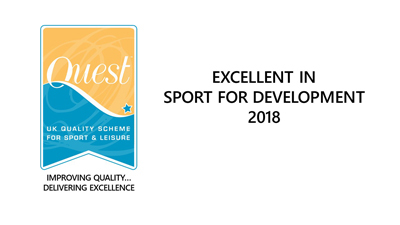 Its ultimate goal is to increase participation levels, and the equality of access for disadvantaged young women (aged 13-30) in grassroots sport and physical activity. Working with partners from Italy, Denmark, France, Poland, and The Netherlands, this collaborative approach works to share best practice from across Europe, and hopes to build an online network to share insights and encourage future collaboration.